You must be a member of the Antwerp Amai! Group to attend this activity. Would you like to join this group? 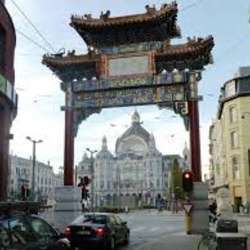 The visit will be done by a skilled Antwerp Chinese guide – Philippe Weng. - The number of people in the group is limited to 20. - Registering and paying is to be done in advance – You will be given your number on the list and bank account number in reply. - Your registration is valid after payment is received. Very easy to reach by public transport.